My Little Pumpkin [Wordless Wednesday] – my books. my life. We went to a local pumpkin patch on Saturday so I have plenty of pumpkin pictures for you this week. But first, let’s see how much my little baby has grown in a year. He ate ALL THE PUMPKINS. But he’s so cute now! He was then too. But, you know. 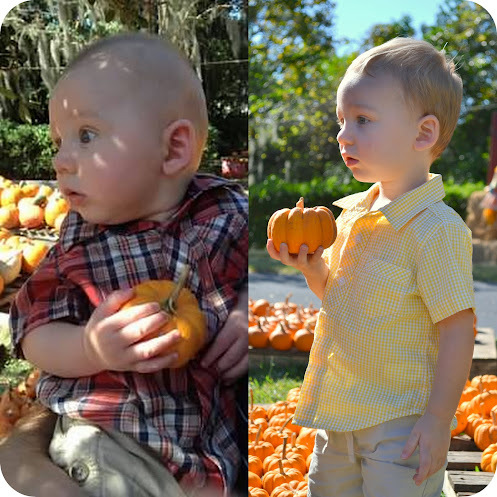 I know he’s bigger now and he is growing too fast for ya, but he still has that same, sweet face 🙂 When we went to the pumpkin patch last week, the girl laughed at me for trying to recreate all of the baby photos taken so long ago. She would not let me, BTW.